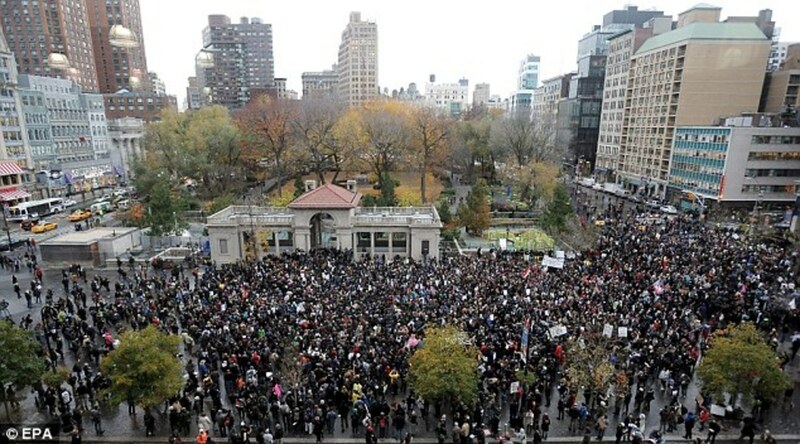 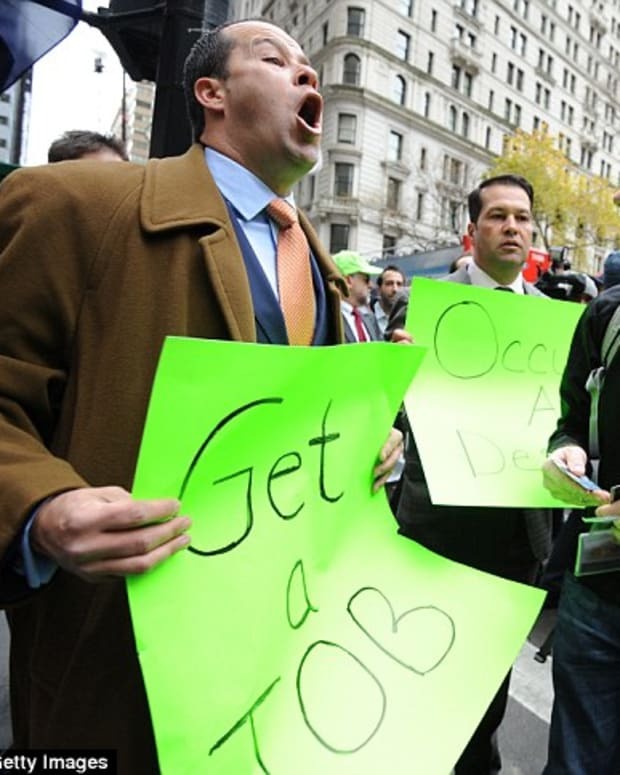 Thousands of Occupy Wall Street protesters took to the streets of New York City on Thursday to mark the two-month anniversary of the movement which has spread worldwide. 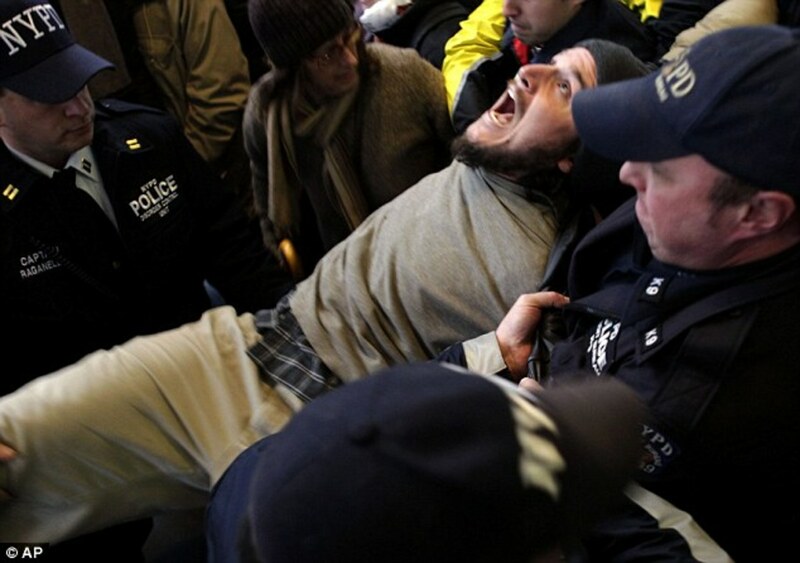 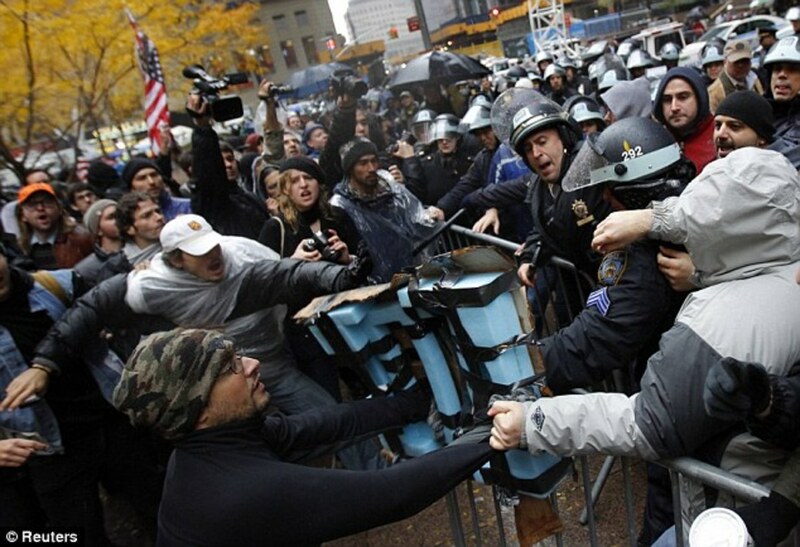 Protesters clashed with police resulting in more than 400 arrests according to CBS News. 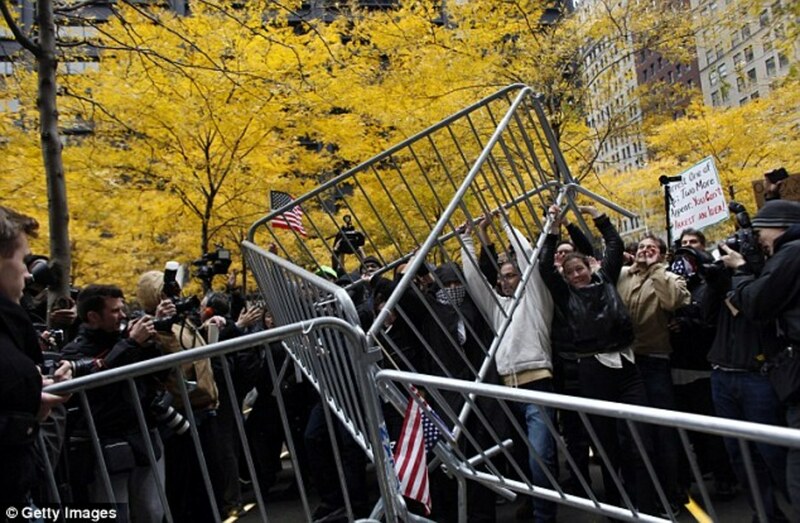 They clogged traffic on city streets and the Brooklyn Bridge as well as knocking down police barricades designed to control the crowd. 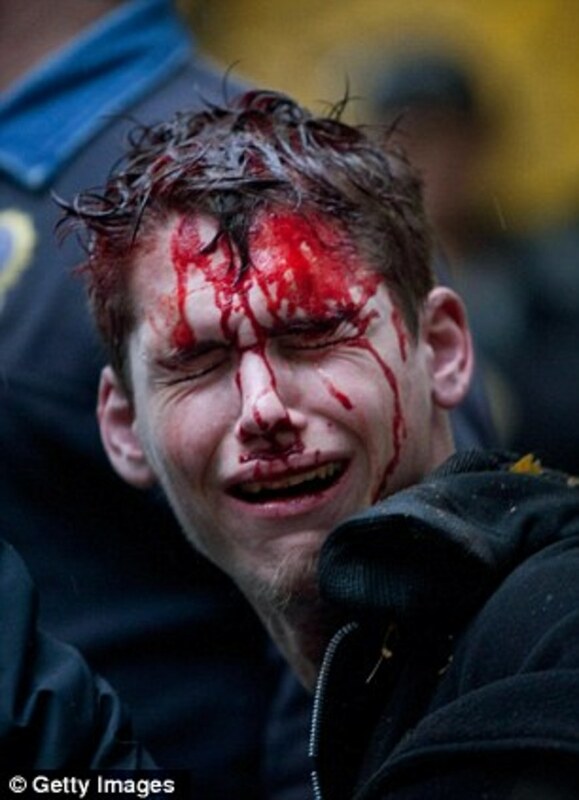 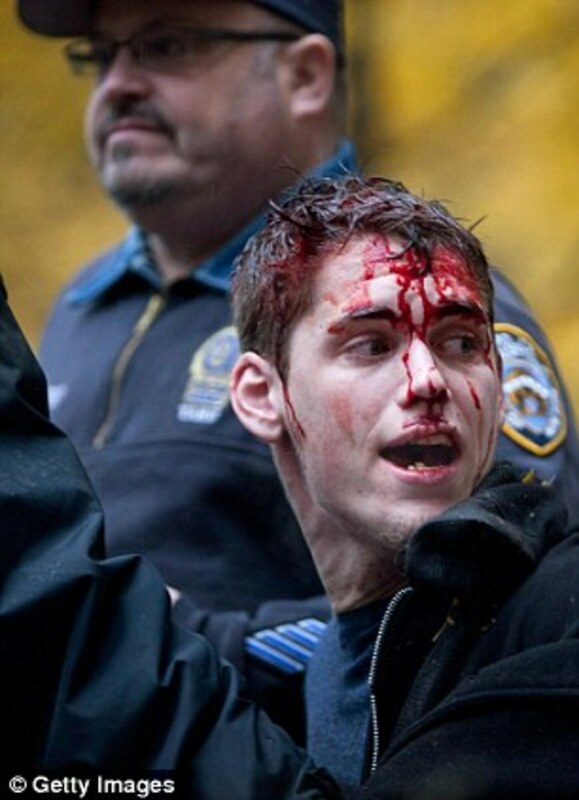 And in what will likely be the iconic image of the protest, Brendan Watts emerged with a bloody face from his scuffle.